The Bronson Side Table by Robert Langford features a strong, metal frame that is hand-painted in a metallic finish. Available in three colourways to suit your interior scheme - Silver, Bronze and Gold. 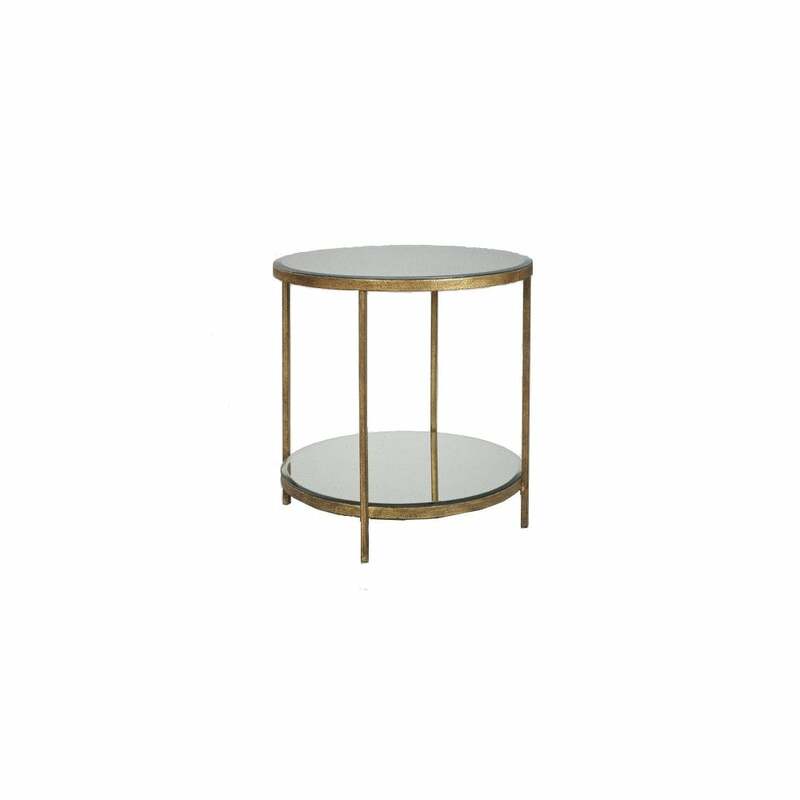 This versatile design features a circular table top with a matching antique mirrored shelf. Radiate light in small spaces with the reflective surface and style with decorative objects and scented candles to inject ambience into a bedroom or hallway. Use the silver and gold tables in a minimal, modern scheme for an elegant look. The deep bronze and radiant gold hues will work beautifully in an art deco inspired space. The distressed finishes wil complement a scheme of midnight blues, charcoal grey and pops of coral. Get in touch with our team for more information, advice and tips.